Experiencing a Call to Holiness? 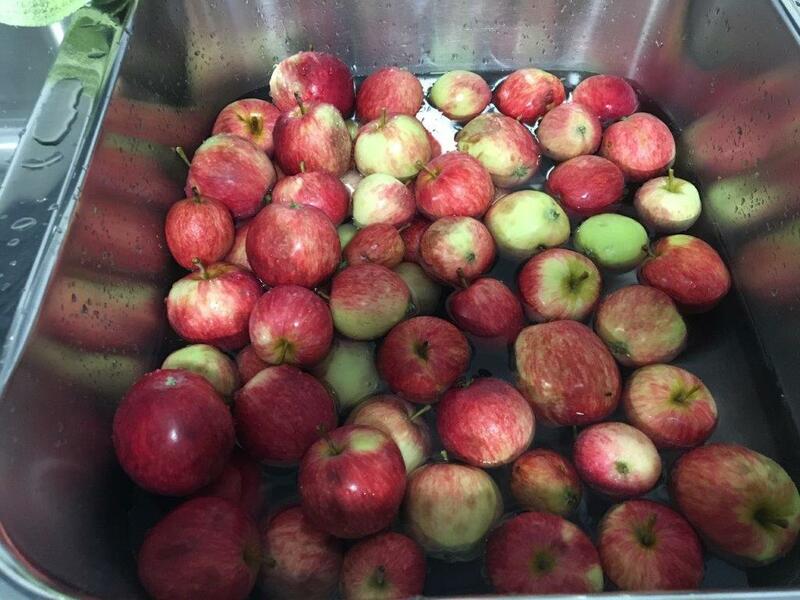 Our ministries are diverse and fulfilling. They continue to evolve and change to address the needs in our society. 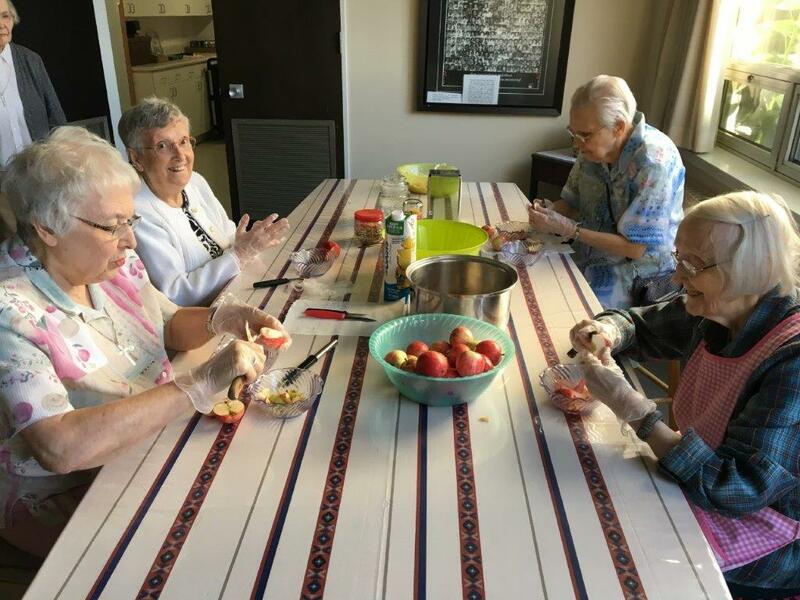 Our ministries extend to the sick in hospitals, nursing homes and homes for the aged. 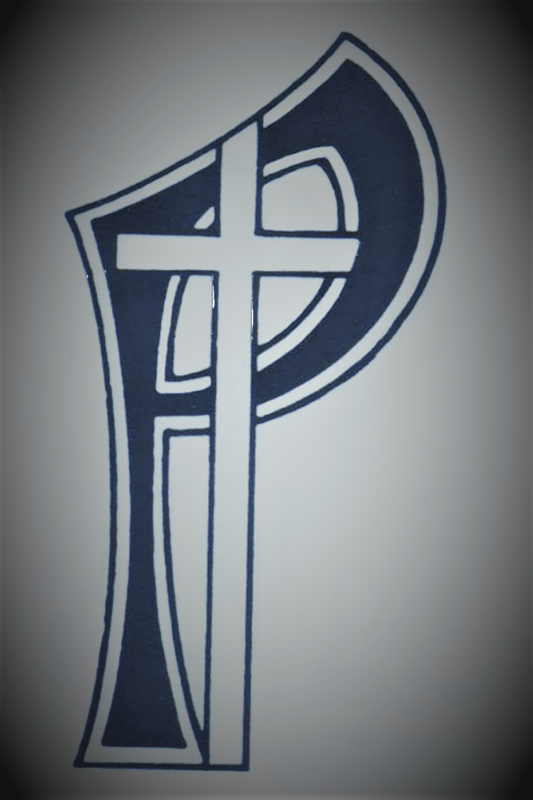 We are also actively involved in pastoral spiritual ministries, retreats and spiritual direction. We continue to minister to aboriginal people and ethnic groups, sponsor refugee families, help with food banks and provide safe interim housing for abused women and children. Today, the works of the Sisters of Providence in western Canada are not identified as quickly as in the past when we had a greater presence in the many Providence institutions. Changes in society, in the Church and in religious life has given us the opportunity to be involved, individually or in small numbers, in ministries not directly associated with the religious community. The nature of our call, however, has not changed. The ministries we choose and the service we give remain driven by our mission to manifest the Providence of God by imitating the compassion of Mary at the foot of the Cross. 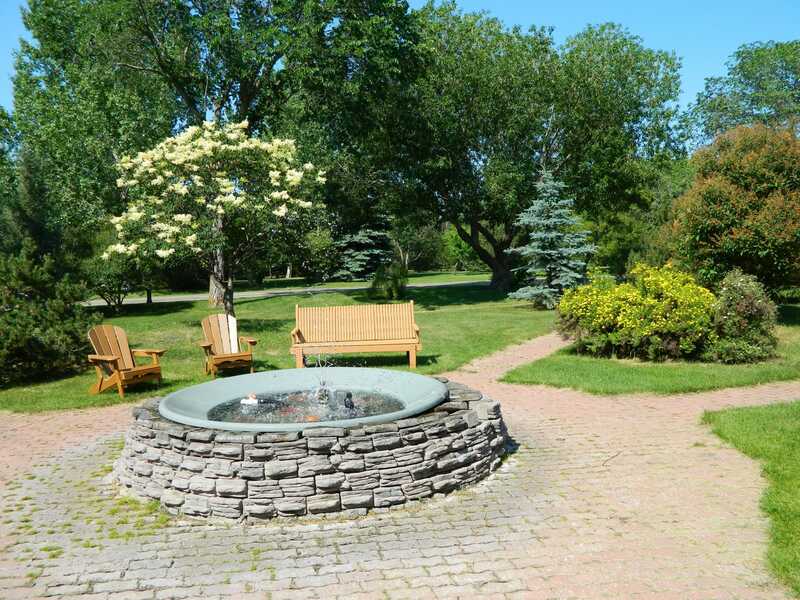 Providence Renewal Centre is a retreat and conference centre owned and operated by the Sisters of Providence, and committed to Christian hospitality and Christ-centered spirituality. It strives to foster both personal and communal renewal and holistic growth through the programs and services offered. 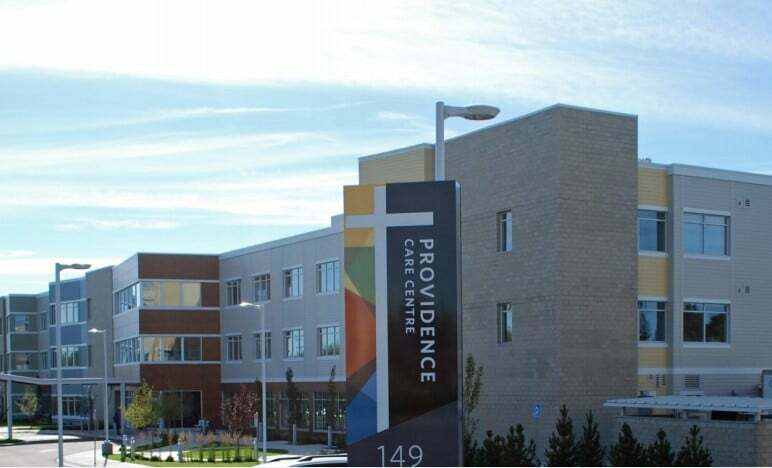 Providence Renewal Centre serves individuals and communities searching for fulfillment and desiring to grow spiritually. It serves groups seeking a hospitable environment in which to meet. Some of the Sisters provide educational and spiritual workshops and retreats, are involved as spiritual directors and serve on the Board of Trustees. Come away for a while, a few hours to several days. Soak yourself in holy leisure, meet with a spiritual director, join us for meditation or prayer, take part in daily Mass. We welcome you to use our conference facilities as a comfortable backdrop for your meeting or retreat. 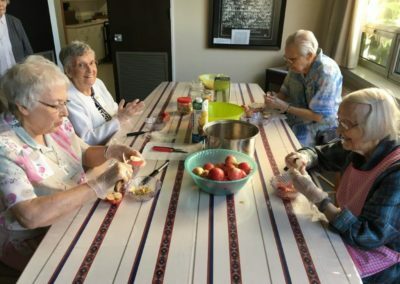 Father Lacombe Care Centre is a 110-bed continuing care facility that has a long tradition of providing loving, compassionate, and excellent holistic care. 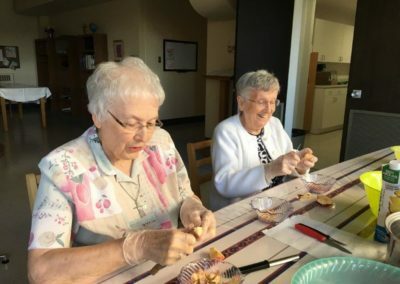 Founded by the Sisters of Providence in 1910, Father Lacombe Care Centre believes that the spiritual uniqueness and inherent dignity of each person are to be cherished, and that everyone deserves to be treated with respect. Owned by the Sisters of Providence and governed by a Board of Trustees this facility opened its doors on January 12, 2016. 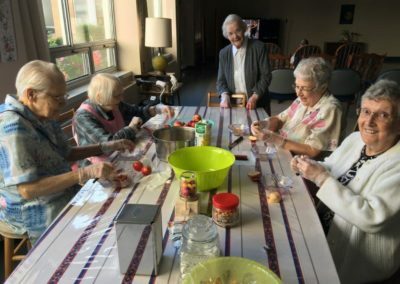 The Care Centre has 30 long-term care beds, 10 beds for priests of the Calgary diocese and 120 assisted-living beds for a total of 160 beds. It also includes private studio rooms, secure courtyards with paths and gardens, as well as common areas, lounges and library. 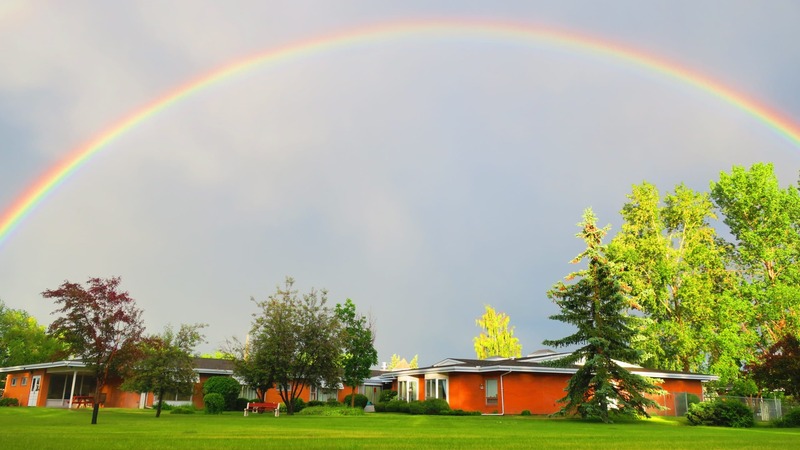 It is located across the Father Lacombe Care Centre. ANAWIM is a Hebrew word meaning “God’s Poor”. 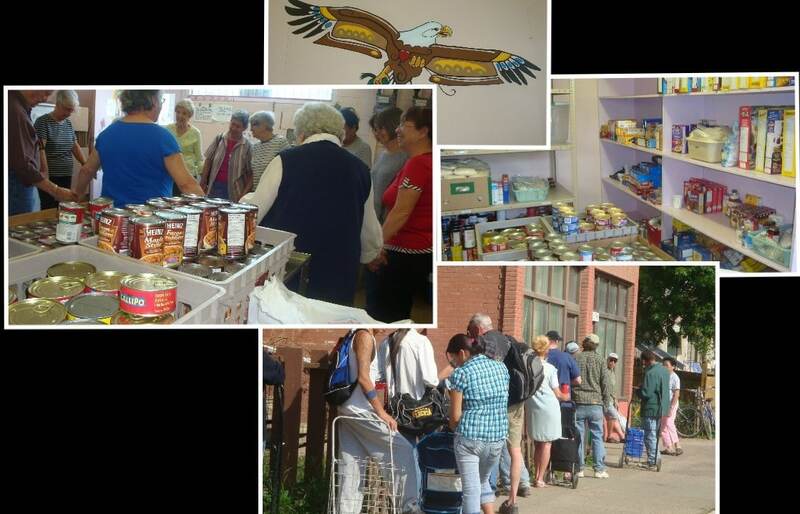 ANAWIM Place provides food and outreach programs to the less fortunate people living in Edmonton’s inner city. 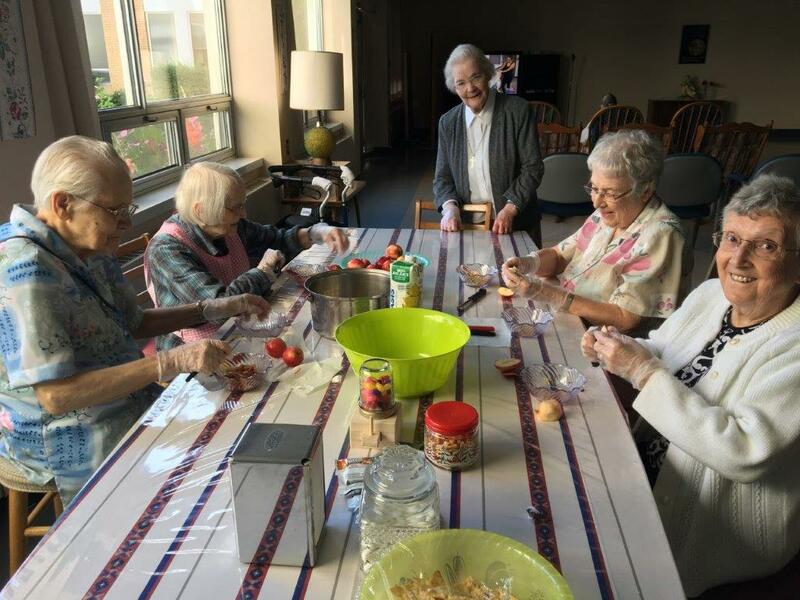 Under the sponsorship of the Sisters of Providence, ANAWIM Place opened its doors in November 1988 as an emergency resource for those in need. 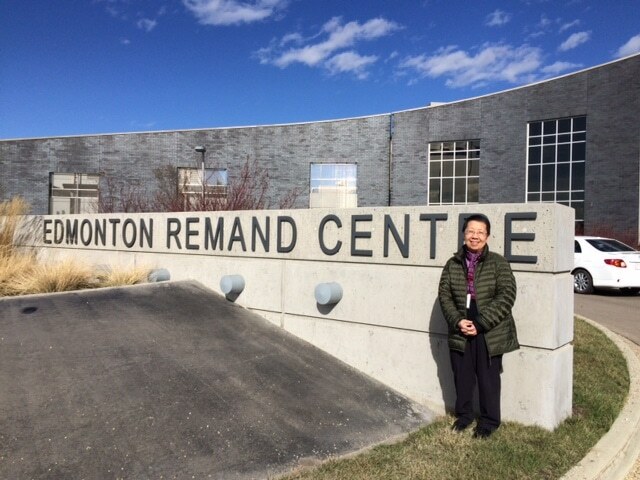 It operates as a food depot two days per week in cooperation with the Edmonton Food Bank. 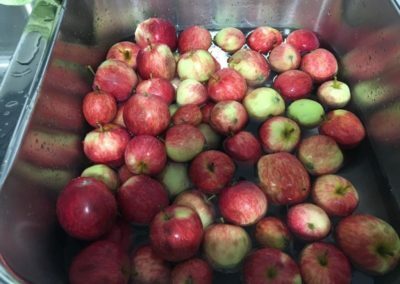 Service to others at ANAWIM Place is rooted in compassionate love for the less fortunate, compassionate love which considers each person as a gift of God. Members of Holy Angels Province, with a host of volunteers, ensure ANAWIM’s success by operating the food depot each week. WINGS of Providence provides women and children who have experienced family violence with independent living in a safe, secure, supportive environment. Since 1987, WINGS has helped nearly 1000 women and more than 2200 children break the cycle of family violence. WINGS provides safety and 24-hour security. In this safe place, WINGS offers in-house courses on parenting; counseling for moms and children; emotional support; and life-skills courses in practical areas such as budgeting and food preparation. WINGS also provides follow-up support for women who have left WINGS for independent living. 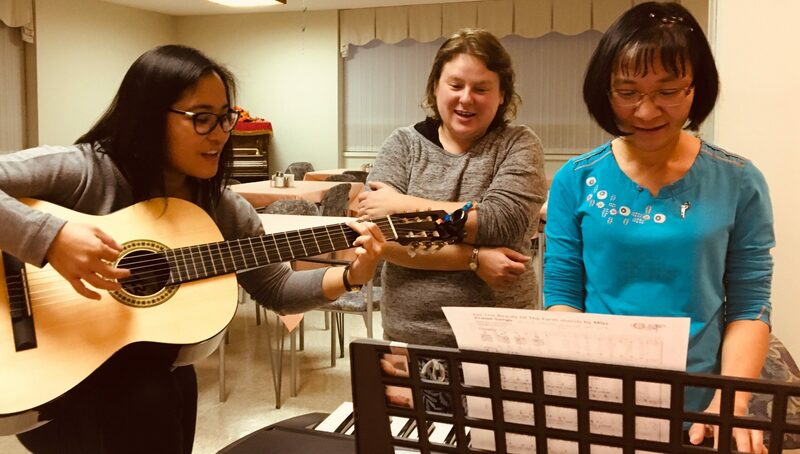 The Sisters of Providence are the founding sponsor of WINGS and continue their involvement as members of the Board of Directors and by volunteering in various capacities.